This post is mostly taking details from the above two sites, and merging them into a single, easy for me to find set of notes on how to get Xastir working with the RTL-SDR on a Debian/Ubuntu based Linux system. This will serve as the foundation of a future version that will be deployed on a Raspberry Pi3-B, configured with a 7" screen, and installed in my truck for mobile APRS tracking. Here's a good screen capture of my Xastir map after running for about an hour. Tuner gain set to 42.10 dB. Tuner error set to 50 ppm. Which is where we'll then point xastir to look for it's data. Finally we need to launch xastir, and tell it how to find our APRS data. Launch xastir, and after the intial setup click: Interface --> Interface Control --> Add --> Internet Server Then select "Activate on Startup"
Deselect "Allow Transmitting (Your RTL-SDR is only a receiver afterall)" Set the host to "Localhost" Then click OK. Finally you will need to select your new Internet server from the list, and click Start, or just click Start All. 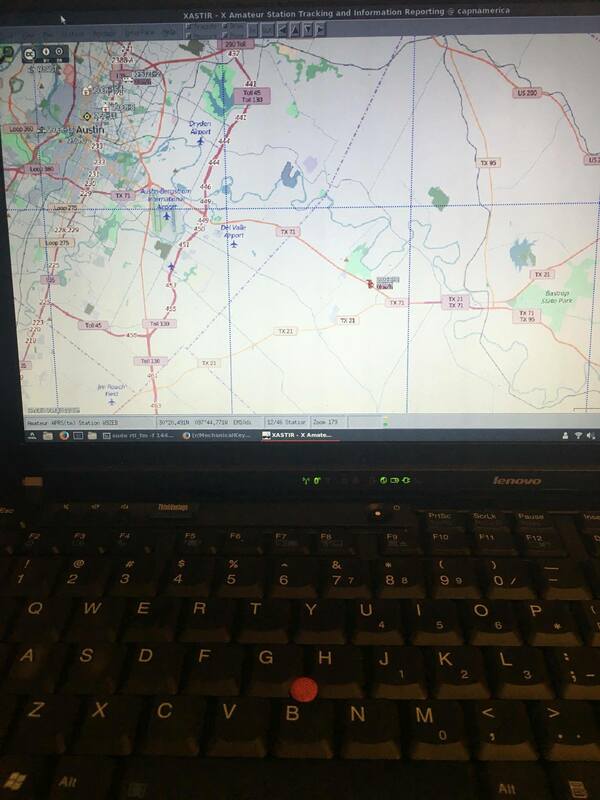 Here's a "Potato Quality" photo of my Thinkpad X201i running Xastir, with a few stations plotted on the map. There are several Weather stations in the area I can receive directly as well. If everything went well, you should start seeing stations appear on your map. Happy APRSing.